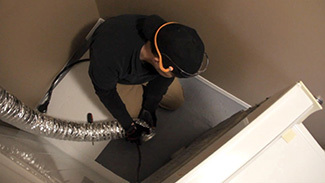 Dryer & Dryer Vent Cleaning - Windsor-Essex Janitorial Inc. It is a common misconception that it is good enough to empty the lint trap before using a dryer and this act alone will allow the machine to function properly. Unfortunately, lint traps do not collect all of the lint your clothing and dryer creates. 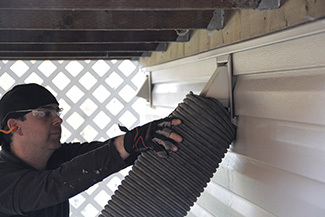 A surprising amount of lint manages to escape the dryer filter and passes into your dryer vent and surrounding areas. As lint builds up in your dryer it can become clogged, which can increase the time it takes for your clothes to dry. Over time, your dryer will begin to work harder and take longer to dry your clothes, resulting in higher energy bills and a greater risk that your dryer will overheat. When a dryer consistently overheats, it can cause a fire to start in the machine. Dryer lint is highly flammable and has the potential to ignite quickly. Fires caused by a build up of lint in a dryer and/or a clogged dryer vent affects hundreds of property owners each year. If your dryer is not being properly vented to the outside as a result of lint and debris buildup, there is a risk of harmful emissions such as carbon monoxide being produced (for gas dryers) in your business, as well as excessive moisture resulting in condensation and mold growth for gas and electric dryers. 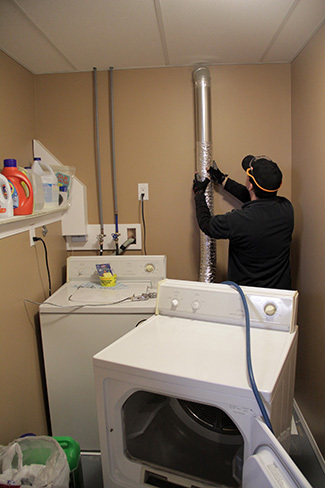 Having your dryer and dryer vent cleaned regularly can help you avoid a serious health and safety issue. Our dryer and dryer vent cleaning services can improve the efficiency of your dryer, which can help to reduce energy costs, dry your clothes faster, and extend the life of your dryer. Keep your business safe and keep your dryer running cleaner for longer by having the professionals at Windsor-Essex Janitorial clean your dryer and dryer vent once a year. Don’t risk your health and safety for another day! Call us today to set up an appointment to have your dryer and dryer vent professionally cleaned.